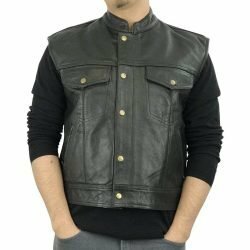 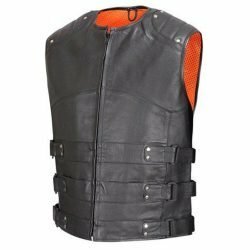 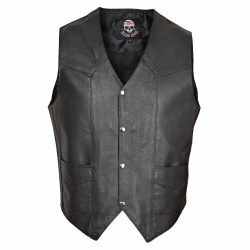 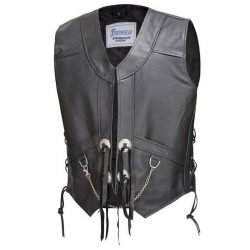 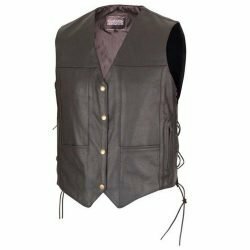 This Vest is made of premium Brown Cowhide leather. 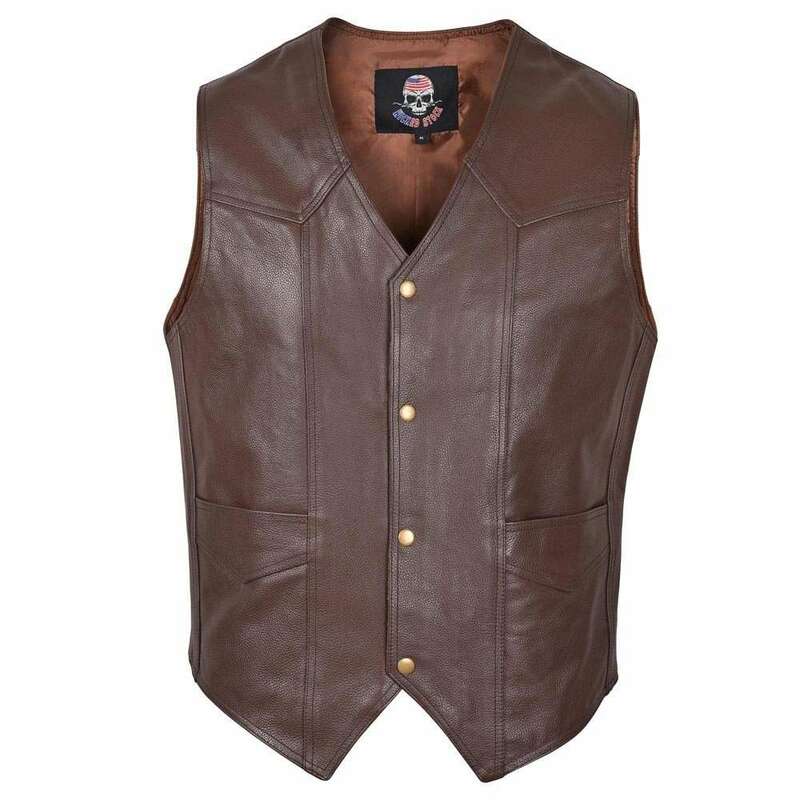 This Vest is backed by our Limited Life-time Leather warranty. Our Lifetime Guarantee is a warranty against defects in Leather and workmanship. Our leather, as with all natural materials, will occasionally have unique characteristics such as: small scars, creases and variations in the color and are not considered defects. 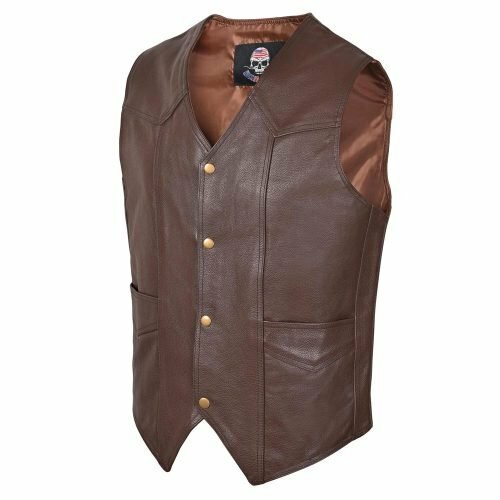 Premium Soft-Hand natural drum dyed cowhide with Limited Lifetime Warranty. 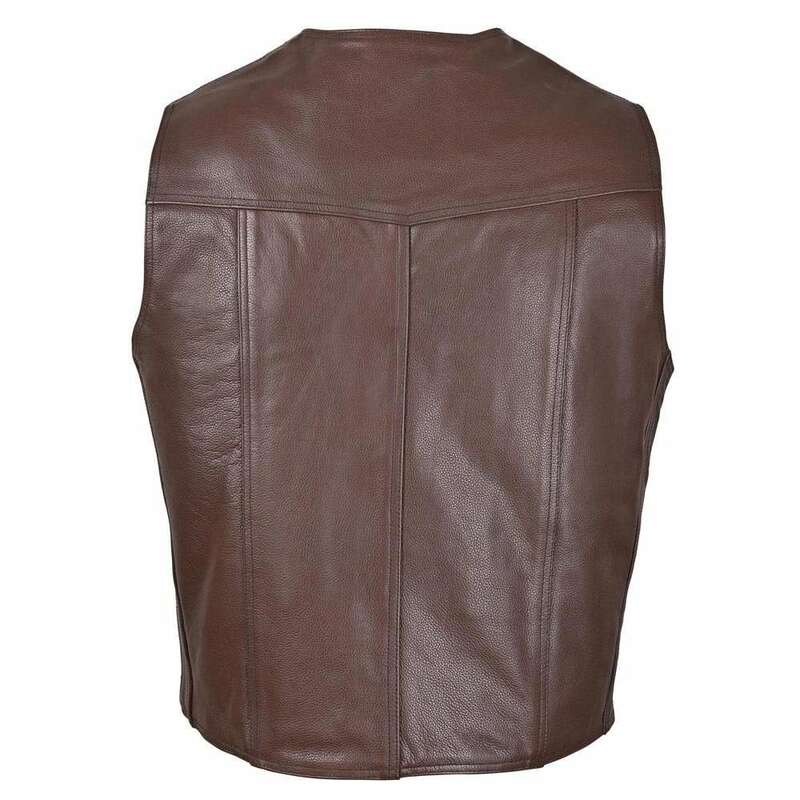 This vest has full inner polyester lining for comfort.